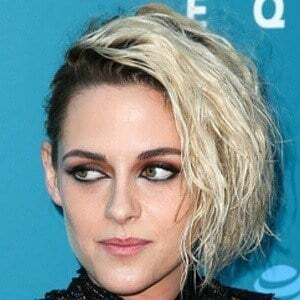 Became known for playing Bella Swan in The Twilight Saga, a role for which she won numerous Teen Choice and People's Choice Awards. Her other films include Zathura , Panic Room , Still Alice , and Adventureland . She debuted in the Disney Channel film The Thirteenth Year at the age of eight. She won a Cesar Award for Best Supporting Actress for her role in the 2014 film Clouds of Sils Maria . She had a highly publicized relationship with Twilight co-star Robert Pattinson from 2008 to 2013. In 2016, she began dating Stella Maxwell . She also briefly dated Alicia Cargile , St. Vincent and French pop singer Soko . She co-starred with Charlize Theron in the 2012 film Snow White and the Huntsman .